This comprehensive volume analyses Chinese birth policies and population developments from the founding of the People's Republic to the 2000 census. The main emphasis is on China's 'Hardship Number One Under Heaven': the highly controversial one-child campaign, and the violent clash between family strategies and government policies it entails. Birth Control in China 1949-2000 documents an agonizing search for a way out of predicament and a protracted inner Party struggle, a massive effort for social engineering and grinding problems of implementation. It reveals how birth control in China is shaped by political, economic and social interests, bureaucratic structures and financial concerns. 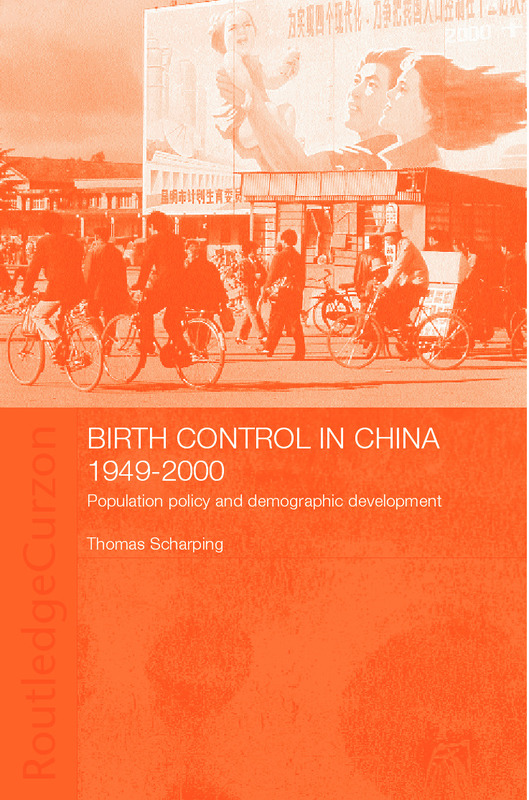 Based on own interviews and a wealth of new statistics, surveys and documents, Thomas Scharping also analyses how the demographics of China have changed due to birth control policies, and what the future is likely to hold.